The EFF chairperson expressed gratitude when a prominent businessman congratulated him, but he served his thanks with a side of shade. EFF national chairperson is the man of the moment in his party after being awarded the Black Excellence Award at the Annual Corporate Update Gala Dinner on Friday night, hosted by Black Management Forum (BMF) in Sandton. His counterpart in the ANC, its national chairperson Gwede Mantashe, had a more distressing night when delegates from the KwaZulu-Natal ANC kept him from speaking by singing their support for former president Jacob Zuma. Mantashe was addressing the crowd at the University of Zululand, delivering the keynote address on President Cyril Ramaphosa’s behalf, before the party’s consultative conference would get under way. The conference was cancelled on Saturday. 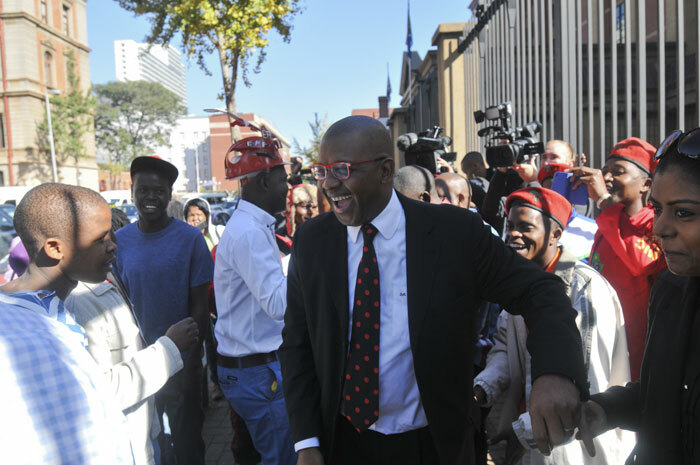 The EFF released a statement earlier today congratulating Mpofu on his award. Also among those congratulating him was businessman Given Mkhari.